Last November, Flatiron, under the helm of Chef Vicky Pacheco took the spotlight as the maiden offering of the Top Eats Series of The Maya Kitchen Culinary Center.Chef Vicky, who is also the force behind Chateau 1771 and Sentro graciously showed guests a number of unique Flatiron dishes like Flatiron Brisket 6, Chicken Piccata, Pizzaiola Pasta, Pomelo Orzo Salad and Manhattan Seafood Chowder. 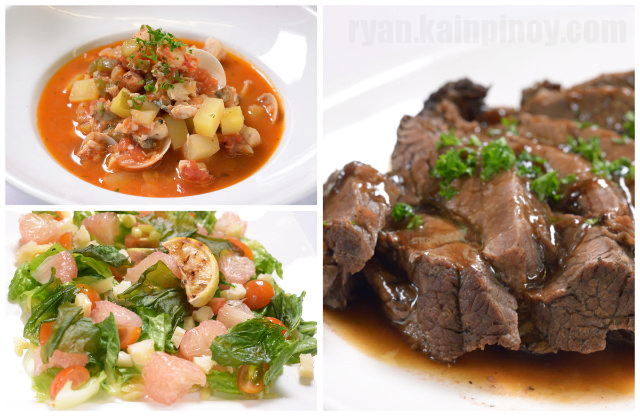 Flatiron brings urban comfort food friendly to the Filipino palates straight from the griddle. There are steaks, pastas, pizzas, salads, pork chop, lamb stew and burgers. There is a comfort dish for everyone. It is located on the Ground Floor, Uptown Place Mall, 36th Street Corner 9th Avenue, Bonifacio Global City. 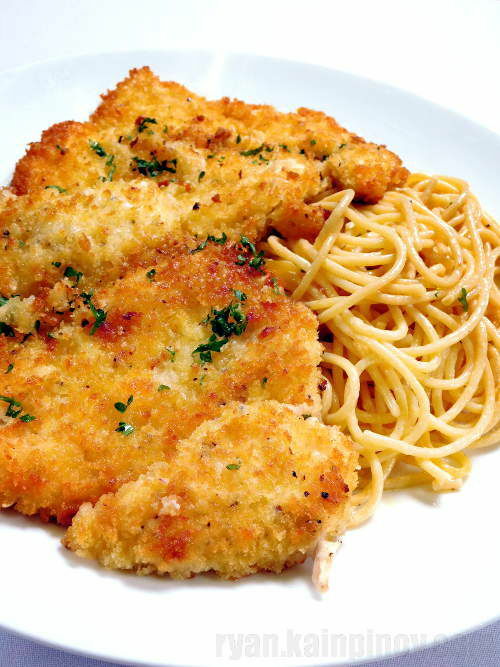 Below is the recipe for Chicken Piccata. It was deliciously rich and smelled divine. It might be a tad too rich-tasting for some, but to me it was just perfect. Place chicken breast on a chopping board lined with plastic. Cover the chicken breast with another piece of plastic. Using a meat mallet, flatten the chicken breast by pounding it from the middle going outwards. Remove the plastic sheets and season flattened chicken fillet with salt and pepper. Sprinkle lemon juice all over it and let marinate overnight or at least for 15 minutes. Dredge chicken with flour on both sides, dip in egg and then coat with breadcrumbs. Refrigerate until needed or freeze quickly for the coating to set. Prepare sauce. Melt the butter on low heat and do not allow to boil. Add the lemon juice and season with salt and pepper. Turn off the fire and set aside. Heat clarified butter in a frying pan. 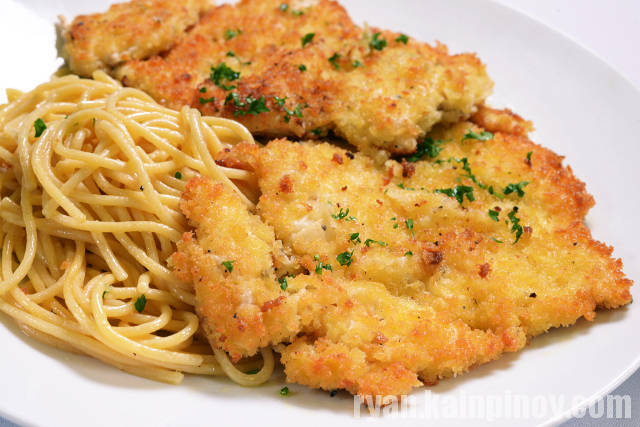 Add breaded chicken in the pan over medium heat and pan fry until golden brown on both sides or until cooked. From the same pan lower the heat and add prepared lemon butter sauce, salt and pepper. 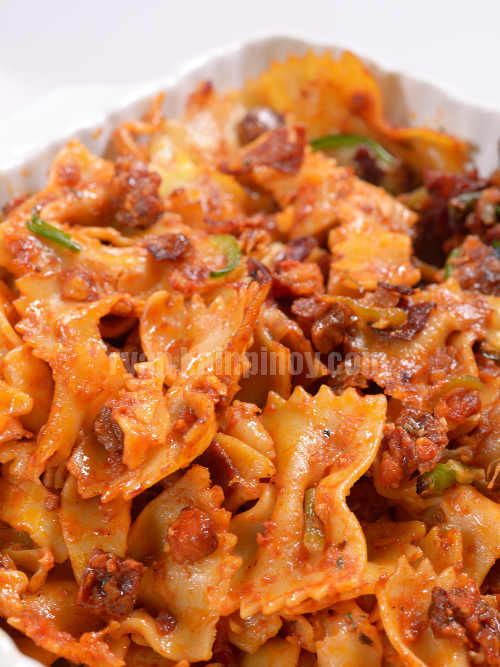 Swirl the pan without boiling the sauce. DON’T ALLOW THE BUTTER TO BOIL! Add back the chicken to coat with the sauce. Transfer to serving plate and pour the sauce on top. Prepare sidings. Cook spaghetti in a salted boiling water until al dente. Drain pasta and transfer to a sauté pan. Add and toss the whipping cream, sour cream, salt and pepper. Make sure the sauce fully coats the spaghetti and there is no left-over sauce in the pan. Sprinkle grated parmesan on top of pasta. 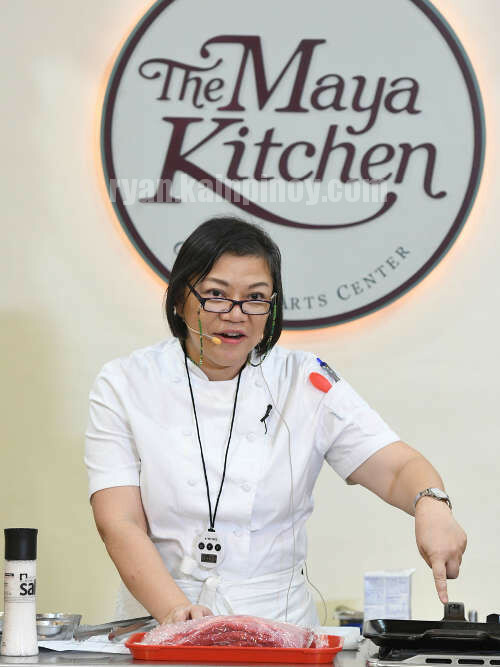 For more information, log on to www.themayakitchen.com; send e-mail inquiries to contactus@themayakitchen.com or visit The Maya Kitchen Culinary Center every Tuesday to Saturday at 8F Liberty Building, 835 A. Arnaiz Avenue (Pasay Road), Makati City . You may also call 8921185 / 892-5011 local 108 and mobile Mobile No. 09296796102 for more details. © 2019 being.ryan. All rights reserved.